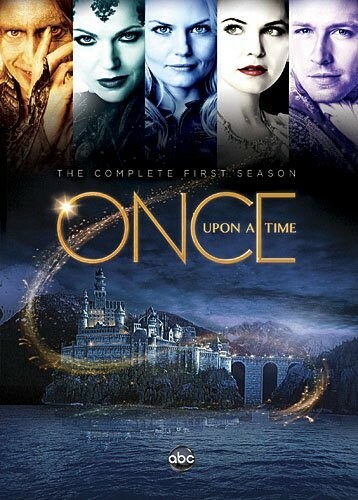 Relive the complete first season of ABC's Once Upon A Time, the hit series that boasts unforgettable characters and a tangled web of romance, action and enchantment. Immerse yourself in the magic and mystery of Storybrooke - a sleepy little town where every fairytale character you've ever known is frozen in time and trapped between two worlds, victims of an evil curse. On her 28th birthday, Emma Swan (Jennifer Morrison) meets Henry (Jared Gilmore), the son she gave up for adoption 10 years ago. Henry believes Emma is the daughter of Snow White (Ginnifer Goodwin) and Prince Charming (Josh Dallas), prophesied to break a powerful curse. Unconvinced, Emma returns Henry to Storybrooke, where she encounters the enigmatic Mr. Gold (Robert Carlyle) and clashes with mayor Regina Mills (Lana Parrilla) - the boy's adoptive mother - who Henry insists is none other than the Evil Queen! Start your epic collection with all 22 captivating episodes, including never-before-seen bonus features, in this spectacular 5-disc boxed set.